You are going to Watch One Piece Episode 441 English dubbed online free episodes with HQ / high quality. Stream Anime One Piece Episode 441 Online English dub Luffy’s Back! Ivan-san Begins the Breakout Plan! 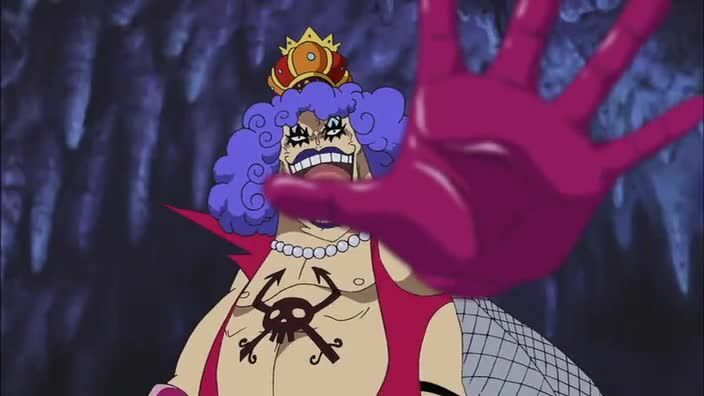 After Luffy emerges from the treatment, Ivankov learns that he is Dragon’s son and reveals himself as one of Dragon’s commanders in the revolutionary army. Despite being exhausted and needing several days to rest, Luffy is given a special hormone treatment that enables him to ignore his fatigue for a day, and he, Ivankov and Inazuma fight their way down to Level 6. Meanwhile, Buggy and Mr. 3 make their way to Level 4, Hannyabal makes arrangements to capture the intruders, and Magellan arrives at Ace’s cell to hand him over to the Marines, who will take him to the execution site at Marineford.